Author Milestone – First Library Event! 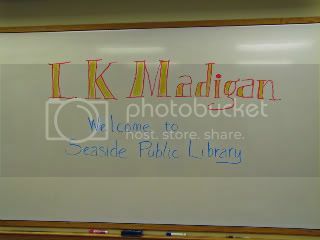 The Seaside Library on the beautiful Oregon coast – specifically, awesome librarian Susan Park – invited me to my first library event Friday. My audience consisted of five people, including Susan, my husband, and Karen Emmerling (from Beach Books, who was on hand to sell copies of my book). Hahaha! There was one other nice woman in attendance, and … wait for it … an actual teen! I didn’t mind the low turnout – I got a chance to practice my new PowerPoint skillz, and the adorable teen in attendance had read my book! She asked a couple of really good questions, which thrilled me. I took a photo of my miniscule audience … but it turned out a little blurry (wrong camera setting – doh!) and I, uh, didn’t actually get permission to post their photos. So you’ll have to imagine their awesomeness. The Friends of the Seaside Library also provided put me up for the night at 10th Avenue Inn, one of the local B & B’s – so it was a lovely little getaway for my husband and me. View at the end of 10th Avenue. 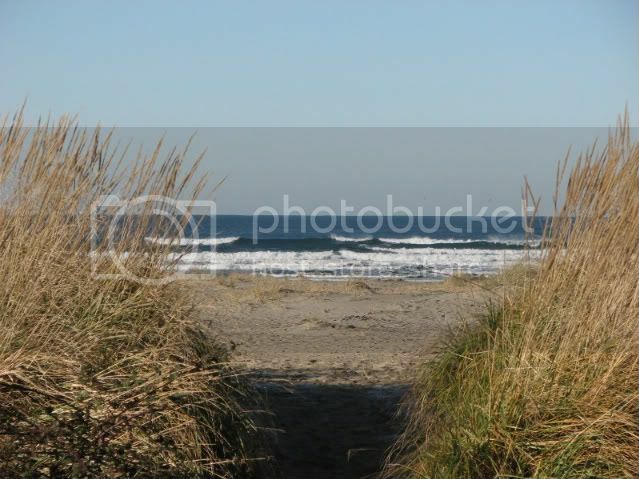 It was really cold at the coast – that’s frost on the sand! - but gorgeous. We stopped by Beach Books before we left town – it’s not a big store, but the selection is somehow really amazing. Karen has terrific taste in books. Can’t wait to go back next year! 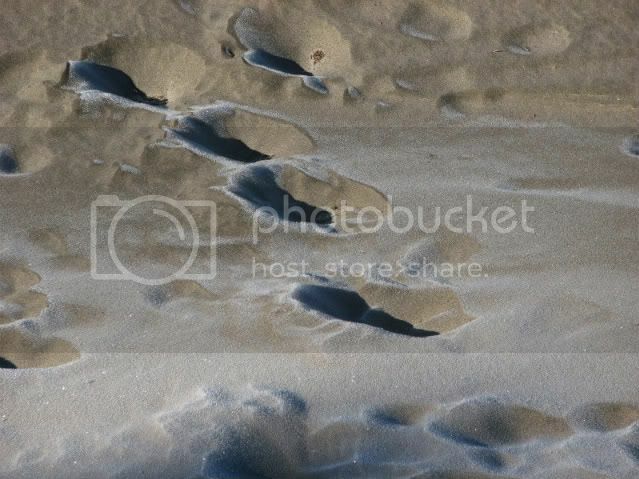 Beautiful pictures, but Frost on Sand?? Yikes! Thanks, Melodye! It was really fun. Don't know that I've ever seen frost on sand before - lovely!